Before Tommy and Traveler, there was Tirebiter. It’s been more than 70 years since a feisty dog named George Tirebiter was first spotted on campus, but his statue near Zumberge Hall still keeps a steady eye toward the Coliseum. 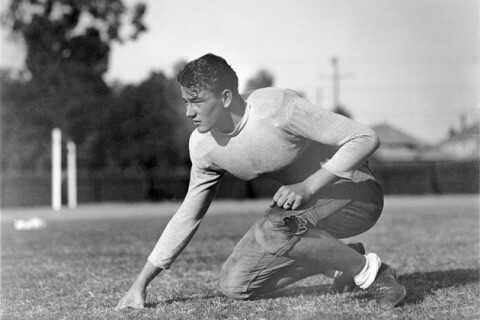 In 1940, George Tirebiter was a campus fixture often seen chasing cars down Trousdale Parkway (then called University Avenue and open to traffic). 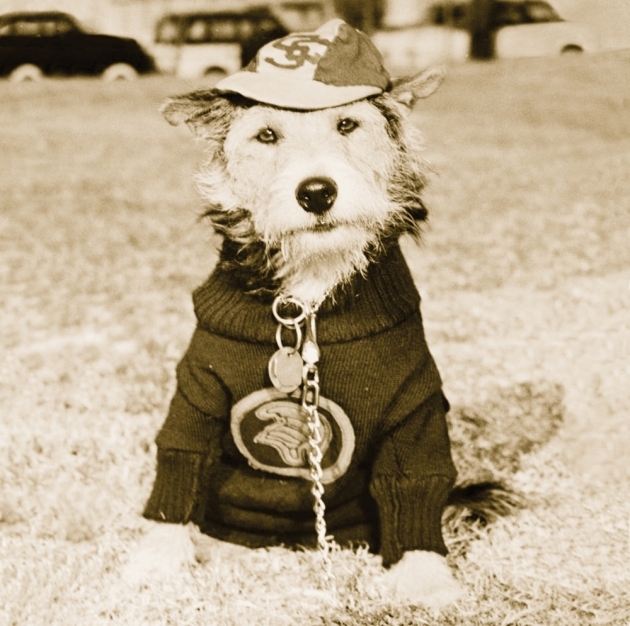 He eventually chased his way into the hearts of students and faculty, and on Oct. 23, 1947, the student body voted to make him the first official mascot of USC. Trojans marked the day with a parade, and the canine soon pressed his paw prints into fresh cement at the corner of University Avenue and Hoover Street. He became an accidental celebrity when he was kidnapped by UCLA students and made headlines across the country when he was found with “UCLA” shaved on his back. George would get the last laugh: He later bit Joe Bruin during a USC-UCLA game. While some of the Tirebiter tales seem larger than life, many are true, including chasing Oski—the University of California, Berkeley’s bear mascot—up a goalpost. 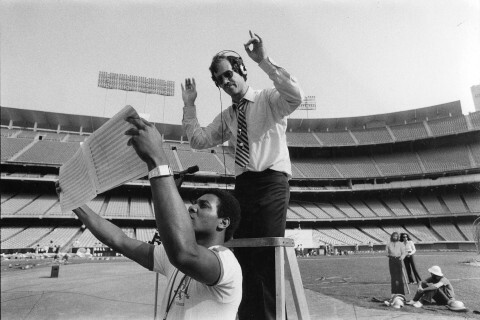 He also rode alongside then-USC President Fred D. Fagg in a convertible at the Coliseum at a football game. As decades passed, the spirited dog’s memory could have faded, but his statue is a reminder that in the Trojan Family, loyalty is never forgotten. Authors Dustin Jacobs ’13 and Ronald L. Olson Jr. ’12 are writing a screenplay about the life of George Tirebiter. 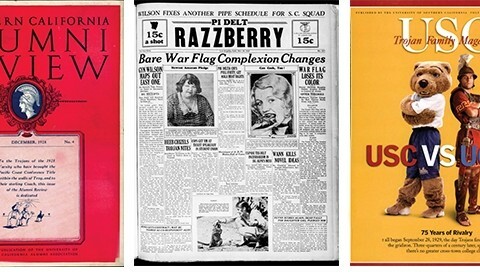 Take a nostalgic stroll back to your student days with the USC Digital Library archive.